Multi Media LLC | How can I add additional broadcasters? Please note that if you want anyone else to appear on your cam, you must first upload their identification and have them sign a performer agreement under your account. Failing to complete verification for everyone appearing on your cam will result in you losing the ability to receive tokens and possibly broadcast. 1. Have each person sign a performer agreement under your account. 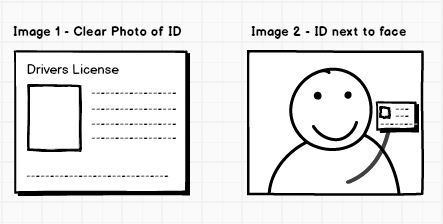 You may need to take photos of both the front and back of their ID. In addition, you must submit a clear photo of every participating person holding their government issued ID next to their face (closeup photo with main text of ID readable). Also, if a person is routinely highly made up or costumed while on cam, you can provide an additional photo of that person as such (with their ID), which can help to prevent future ID problems. We do not accept paper or handwritten IDs, or IDs that have been obstructed (please hold IDs by their top and bottom edges). Also, see the section below on other issues that can cause ID/photos to be rejected. If an ID is about to expire, you must upload a new ID before its expiration date to avoid having any problems with your account. We send out notifications that IDs are about to expire. The ID is Out of Focus (blurred image). The ID is Too Small (no thumbnail photos - smallest lettering of ID must be legible). The ID is Obscured (fingers or other objects that cover ID - hold ID by its edge). The ID is Cut Off (over cropped). The ID is Mirrored (photo of an ID taken in a mirror cannot be read). The ID is Low Contrast (flash reflection or poor lighting makes ID/person hard to see). The ID is a Rotated Image (make sure image is upright).